Like New, Move-in ready. Better than renting! Buy this Mobile Home today and move in tomorrow. All kitchen appliances included. OPEN KITCHEN LIVINGROOM cathedral ceilings, easy living. Nice Deck. Designated Parking in front of unit.Big Master bedroom has extra wide closet space. Central Air. Park approval necessary. 4 Mins to UConn, 15 mins to ECSU, 17 mins to Rt 84 e/w.ike New, Move-in ready. Better than renting! 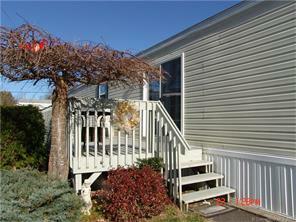 Buy this Mobile Home today and move in tomorrow. All kitchen appliances included. OPEN KITCHEN LIVINGROOM cathedral ceilings, easy living. Nice Deck. Designated Parking in front of unit.Big Master bedroom has extra wide closet space. Central Air. Park approval necessary. 4 Mins to UConn, 15 mins to ECSU, 17 mins to Rt 84 e/w.